Advanced Asphalt Company has been in the construction business for the past 50 years. During these years Advanced Asphalt has expanded from 1 asphalt plant and 1 paving crew to 4 asphalt plants and multiple paving crews. Our expertise has also expanded into all phases of heavy and highway construction covering over 8,000 square miles of North Central Illinois. use of GPS guided Equipment and Quality Control labs at all of our asphalt plants. Advanced Asphalt Company is equipped with the newest and most professionally maintained equipment available. We continue to hire, train and maintain the most professional employees in the area to operate our equipment and to construct our projects. The true value is not always the equipment but the personal that operate the equipment and a management team that is one of the finest in the area. Advanced Asphalt Company maintains and implements a complete safety program, Company drug testing program and performance based incentive program. We believe these programs help to maintain our professional employees while allowing our employees to succeed for themselves and to succeed for our Company. 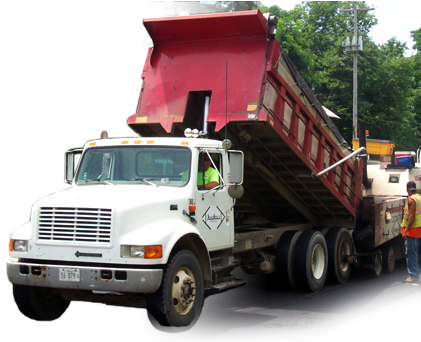 Advanced Asphalt Company uses these resources, employees, equipment and materials to complete each project in a professional and timely manner along with being on budget. Advanced Asphalt Company is striving to be active and growing for another 50 years.